It’s amazing what the word “American” can do when placed at the beginning of a movie title. It immediately gives audiences the sense that the film will pay homage to a certain genre, cook up a certain recipe, deliver expected yet long-loved results. American Pie; coming-of-age comedy. American Hustle; 70s con thriller. American Sniper; sad hero war drama. American Psycho; well, that’s a metaphor for another day. But you get my point, and we’ve all seen movies that are only one part original, nine parts borrowed, some becoming modern icons and others stealing too much from the past to be considered anything but ripoffs. 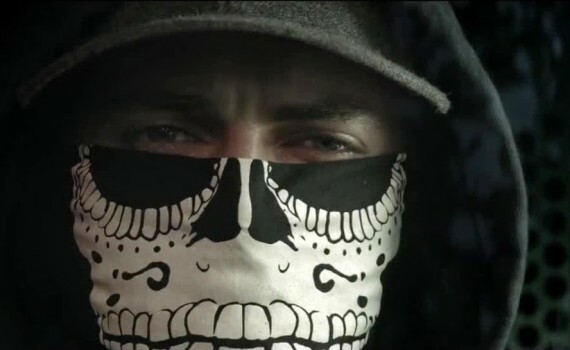 American Heist is a film that definitely leans heavily on those that have come before, but when asked to stand up on its own, it completely crumbles, and that’s the part that I couldn’t forgive. James & Frankie Kelly are brothers from New Orleans who can’t quite seem to get out of trouble. James was basically raised by his older brother Frankie, and the two have always seen the situation as them against the world. Frankie stole to support them, James quickly learned the art of car jacking, and the pair became criminals in mind & in action. Ten years before our story starts, the boys got in deeper than usual. James went to jail for a little over a year, Frankie went for ten, and the brothers didn’t speak during that time. James went straight, got a job, started saving money for his own auto shop, and even reunited with his old girlfriend Emily. But Frankie wasn’t so lucky, going deeper & deeper down the hole while in prison, barely surviving unspeakable acts, and owing his life to some very dangerous people. So now, ten years after being sent up river, Frankie is out. He’s back with his friends, back at the strip clubs, back to the bars, and back to his old life. The men who kept him alive inside, Sugar & Ray, want him to settle his debt. And not only that, but they want his brother to join the crew too. If James doesn’t play ball, Frankie dies. If that’s not incentive enough, Emily will be next, creating a nasty net of violence that will ensnare James no matter what he tries to do. So the brothers are back together again, ready for another job, and this time the stakes are high. The target is a bank, and not just a smash-and-grab deal either. They want the vault, will kill to get the codes, will send the city into panic to create a diversion, and will stop at nothing to get the cash. It all started out well enough. The film begins with some teaser action to let you know that this story is going straight downhill. It then reverses to let the story build itself up, to develop some character, and to lay the groundwork for the rest of the plot. Christensen was on point as the rough young stud who is trying his best to rise above the lowlife. 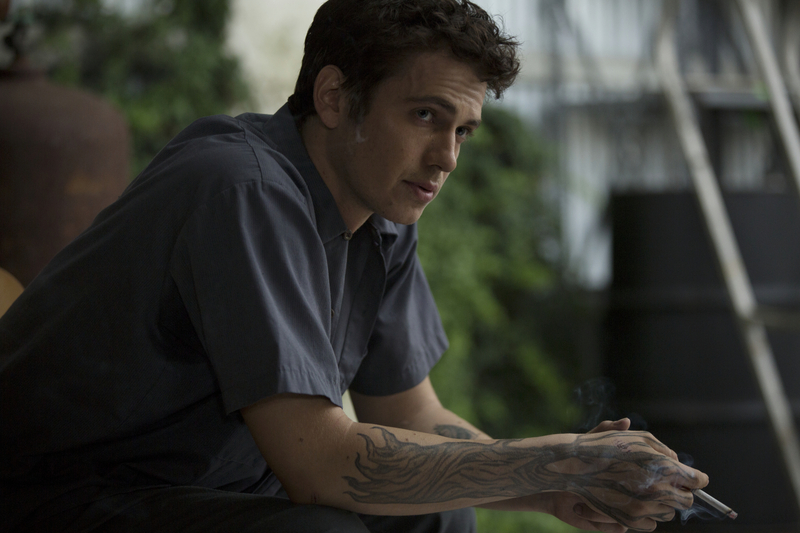 Tattooed, greasy, poor, but determined; James is a legitimate hero. And Brody as his brother was a perfect casting. Frankie appears cool, tries to be tough, but is actually an idiot who can’t say no, a weak personality who always makes the wrong choice. The brothers coming together, the trap that keeps them together, the impending chaos that you know is right around the corner; it all adds up to the classic heist film, a movie that you assume will end violently but you just can’t wait to see. And that’s where the positives end. After the setup, the film completely jumps the shark. The bank robbery is utterly ridiculous, the action is completely unbelievable, helicopters crash from the sky, bullets go flying, everything that made sense about the first 40 minutes of the film is thrown out the window, and you begin to regret investing so much at the beginning. Director Sarik Andreasyan, an Armenian who usually produces Russian language films, has perhaps seen too many American heist films and couldn’t reign himself back from tossing it all into the fire at the same time, creating an extended climax and ending that was basically preposterous. 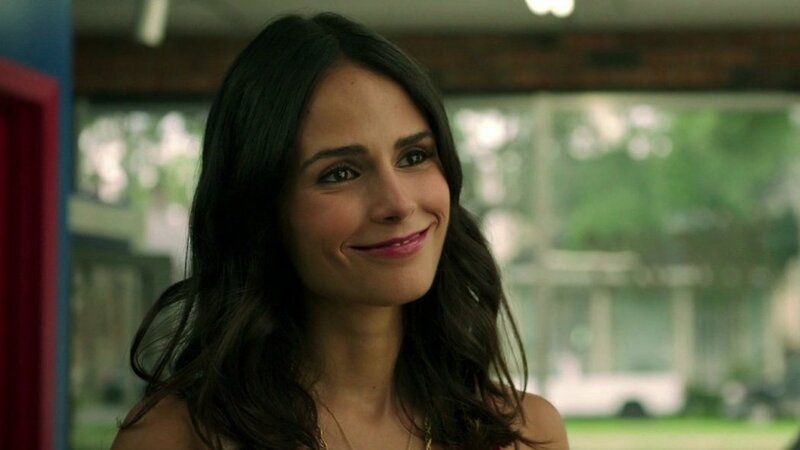 So then, as an audience, you look back on what you ignored while you were enjoying the beginning; the odd Boston accents, Jordana Brewster’s frightening skinniness, Sugar & Ray’s complete lack of acting ability. You remember those things, combine them with the terrible finale, and conclude that someone attempted to make a homage to the American action movie and failed miserably. Video – With an aspect ratio of 2.40:1 1080p HD Widescreen 16×9, the video quality is everything you have come to expect from the Blu-ray format. The beginning of the film lent itself to a high color clarity, crisp faces during dialogue, a rich yet gritty presentation of the city. And the end let the medium speak in a different way, through explosions & bullets, raindrops & blood, making each particle & droplet appear in HD quality. Audio – The Blu-ray disc was done in English 5.1 DTS-HD Master Audio. Subtitles can be chosen in English, Spanish, or English SDH. Also, menu sounds can be turned on or off. The audio quality of the disc was quite good; loud while still being clear, punched up for action while still allowing the dialogue to be heard. So many Blu-ray discs require a remote in hand to turn up the volume to hear the characters and to turn it down so as not to wake up the neighbors. This film created more of a balance, which I appreciated. Extras – There are a few extras on the Blu-ray. 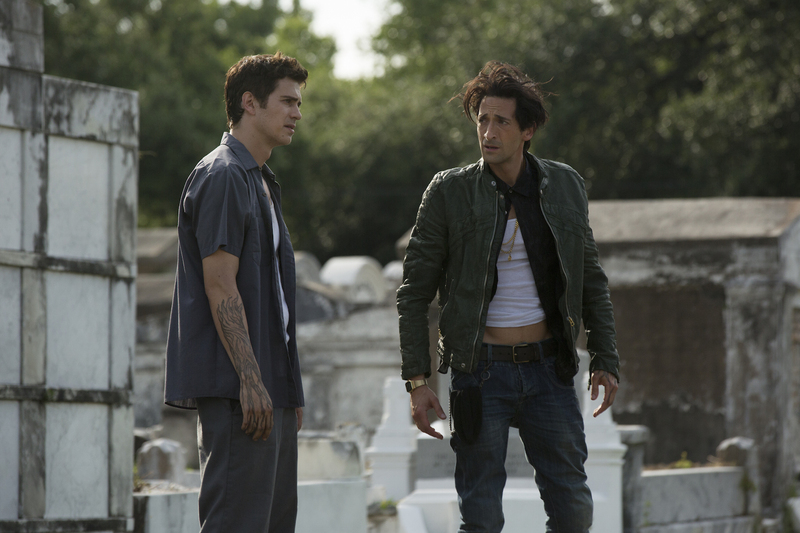 Creating a Complex Caper: Pulling Off American Heist is a 25 minute-long behind-the-scenes/interview section that allows for an understanding of the work behind the action and the inspiration behind the idea. Also From Lionsgate features five trailers: The Forger, Tracers, The Bank Job, Houdini, Child 44. Also, bookmarks can be accessed in this section of the menu. Rent It. Beginning so well and ending so poorly, American Heist is a slightly enjoyable failure to capture the classic American robbery movie. It has a solid base, quality acting, and begins slowly, allowing audiences to appreciate the characters and the actors who play them. But when it comes time to impress, the director was not up to the challenge. The film becomes silly instead of stunning, ruining the positives it had in its favor and reenforcing the concept that action is often done for action’s sake. The video quality of the Blu-ray disc is high, the audio also strong, and there are a few extras for those who are looking for a little more background. I’ve seen much, much worse, and yet I couldn’t help but feel disappointed that this film got me on board only to fizzle out when what it needed was a bang.